Currently I live in a rented house which is about a 45 minute drive from work and 30 minutes (in not quite the same direction) for my wife. That means a total 2.5 hours driving a day, 5 days a week (50 hours a month) and that’s a lot of gas. We also live in larger house than we really need. Sure the space is nice, but there are rooms we rarely use other than for storing junk. Savings : By moving to somewhere closer to where we work we can save a lot of miles each month, we also intend to downsize from 3 beds to 2, saving on bills and rent at the same time. Total cost saving? Maybe $350 a month in total (seriously). This is where the plan really starts to shape up. By moving to somewhere right next to work one of us will be able to walk, cycle or bus to work – which means we don’t really need a second car any more. I mean, when we think about it, we never use the second car at weekends, it’s only purpose in life is commuting. By selling the car we can save on road tax, maintenance, tyres, insurance and everything that goes with it. For young people like ourselves the insurance saving alone makes it worthwhile. Total saving?About $100 a month. Rightly or wrongly we have our cars on finance; this isn’t ideal but has always been a necessity for work. With the one car sold we can probably just about pay off the finance on the other. This means a big saving on interest and immediately removes a $150 a month cost. The final part of the plan is to start actually doing something with all that extra money. 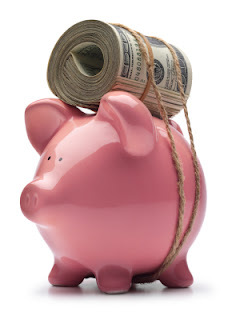 We like to save what we can anyway, and we already put money into a few savings funds, but all of these savings add to about $600 a month – imagine if we invested all of that into foreign currencies, stocks and shares, business start ups or whatever else. Yes the final step is that we need to actually figure out what people do with their spare currency when they want to yield more than half a percentage growth each year. So there you have it. We are saving a load of money and I don’t think we are really making any big sacrifices, we are even saving 50 man hours of driving time each month – which means longer lie ins and more time together. Who said finances can’t be fun?